Once a week for 3 weeks (Oct 16, Oct 23, Oct 30) we were able to hold a Hoops for Hope mini-camp at a local elementary school. We have been partnering with this school for a few years offering HFH mini camps as well as helping in the school's Read2Win program. We had about 25 kids participate over the 3 weeks and it was a great time teaching these kids basketball skills alongside bringing them a message of hope. The kids had a great time and were receptive to the message. The school thanked us for investing in the lives of the students there and asked for us to come again. Our golf tournament was a huge success and we owe a huge thank you to everyone who participated and to our sponsors! CLICK HERE for pics of the event. Hoops for Hope Denton held their first local four week camp the last Sunday in November through the first three weeks in December. Future coaches, former alumni, and new HFH recruits going to Hungary and Hawaii this year were trained and exposed to the great opportunity of teaching basketball with a message of Hope. Overall we had 35 kids involved over the four weeks and 18 coaches help. We were excited about the turnout and feel we were used to make a difference. We plan on holding a Spring Camp on a Friday night, Saturday morning and mid-afternoon, similar style to how we have done in Ghana, the first weekend in May. What a great four weeks of learning basketball and becoming better people. Friday's closing update from Kodiak Island, Alaska: Today closed out the week of camps on Kodiak Island, Alaska. It was a great day, and a great week! The Denton ladies who helped with other camp activities this week challenged the team in the morning to be bold and finish strong. These ladies have eagerly jumped in and helped wherever needed and have been an inspiration to the rest of the team. They worked with crafts today and even brought their kids to support the HFH kids in Last Second Hero. Thank you gals! Today’s focus was POWER, which enables us to overcome anything; temptation, unforgiveness, tragedy. This is a great lesson for everyone. We were showered with gratitude from the local staff, camp personnel and kids. (You’ll see some thank you notes in the pics.) Thank you for your support throughout this week. Our last request is that the low clouds will clear so the team can get off the island, make their connecting flights and begin their journey back home. It was truly our pleasure to connect and grow with this next generation of Kodiak Islanders this week. Alaska team report for Thursday: This was a great day at camp! They had the most kids they’ve had all week, and they worked hard and had a great time. One coach shared his life story with the group today. He almost died from an infection, spending 6 days in hospital. He told how there was a plan for his life, a purpose and part for him to play, and after 3 brain surgeries, he was brought back to full health. It is a powerful story for the kids to hear. But everyone has a story, and the coaches shared their life story with their small group. Kelly, the assistant executive director of the camp, shared that kids were coming up to her all week telling her that this was the best basketball camp they’d ever been to. She was thrilled to learn of the impact the HFH coaches and their message of hope has had on the kids. The coaches have been challenged to share their life story and be men and women of character, and have in turn challenged the kids to do the same. The Alaska team report for Wednesday: The Denton Team had another great day on Kodiak Island despite it being overcast and rainy. (This would explain the Alaskan basketball shoes worn by many of the campers.) The sun came out for an hour or so and it seemed to brighten everyone’s mood. They picked up a few more kids in the morning camp and had the same in the afternoon. The kids enjoyed playing more games today. Coach Alecia, a former recreational director, talked with the kids today about our part; everyone is important, special, and has a part to play. She used hand motions to help the kids identify where they are in their understanding of their part. The coaches will help them have a better knowledge and understanding. Michael has learned that there is one additional camp off island where approximately 30 6th-8th grade kids went this week. The Outdoor’s Camp, on the site where the original KBM started, is accessible only by boat. With fewer kids on Kodiak Island, the HFH coaches have been able to spend quality time with many of them who are there, making a difference. fr camps on the grounds where needed. One camper shared that their favorite part of being at KBM is coming to the basketball camp each day. Another said they are glad that they get to talk about having a purpose and plan for their lives. They’re making a difference in the lives of the children there. Tomorrow, the focus is that everyone is important, everyone is special, and everyone has a part to play. The Alaska team report from Monday. The challenge this morning was to do everything without complaining, and be mindful to keep a positive outlook. Be watchful for any negativity and turn it around. The numbers were lower than Michael had expected, but having a full camp is not what this is all about. It’s about building relationships and encouraging each other. Having fewer numbers allowed the coaches more one-on-one time with the campers. There are close to 100 kids on the campgrounds this week, but there are several other camps offered each week throughout the summer, such as fishing, art, rocketry and model trains. With so many options available, 19 chose basketball in the morning camp and 11 in the afternoon. Regardless, they had a great time together. Michael was grateful for the flexibility of his team to serve in other capacities. Some of his afternoon coaches pitched in with other camps and helped build rockets, paint, or fish, while others trimmed trees. This was significant because they could follow up with the kids who went through the morning HFH camp and ask questions to reinforce what they had learned about their Purpose in life. They have offered to help with the 100th anniversary of the Coast Guard celebration this Saturday if there’s something they can do. We know there is significant work happening there on site, and Michael and his team are doing their part to further the message of hope with the campers, and encourage the leaders. 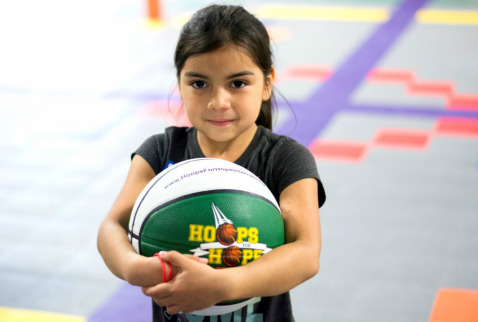 The Hoops for Hope Alaska team from Denton traveled in stages: Michael Eddy, the camp director, and his family went on Thursday and shares below. Johnny Mumford and most of the other team members arrived yesterday. The last couple to travel will do so today. Michael shares: We made it. Thursday night we had dinner with others who have been helping at camp. Throughout the summer, different groups come in and use their talents to make a difference. This week there have been construction projects by a group from Plano, hand bell choir training and maintenance from Massachusetts, and gymnastics training, to name a few. It was refreshing to hear their stories. Another 15 of our group arrived Friday afternoon, with last two arriving on Saturday. (We left on Thursday at 6:30 am and arrived around 4:45 pm. Alaska is three hours behind, and quite a ways away. We had several connecting flights.) We ate dinner together, had a bonfire on the beach and fellowshipped with all who have been working at camp this last week. Basketball camps start Monday; the younger kids will be in morning, and the older kids will come in the afternoon. Saturday will be a recovery day. We will try to enjoy Alaska! We will be creative with the space we have to fit stations in. We saw seals and bald eagles yesterday. What sharp vision and an awareness of their surroundings. Let us have eyes that see and hearts that hear what is put in our lives to be challenged. THURSDAY - JUN 9 The Waco Skills Camp 2016 has come to a close. It was a wonderful 4 days of basketball training, character building, and lots of fun. The participants and coaches worked together so well this week, becoming quick friends. We are better people having spent this time together. Thank you to everyone who participated in this camp to make it a sweet success; from the prep/set-up crew to the cleanup crew, from the check-in/check-out crew to the coaches and assistants who poured into the kids, and everyone in between. We could not have done this without you! WEDNESDAY - JUN 8 It was another great day of camp! It is so exciting to see the kids improving each day. The kids have learned the routines making each camp go a little smoother. They work hard to do each drill. The coaches are great encouragers too. A huge thank you goes to Norm Hoffman for an abundance of watermelon that was gone in 3 minutes, and Eva Harkrider and Levene Grant for chocolate chip cookies, also gone quickly. The gals at the check in/out table have served well. Thank you to Rachel Reid, Joyce Gray and Grace Rhodes! You all are the best! TUESDAY - JUN 7 Day two went off without a hitch! The kids are checking themselves in as quickly as they can, then heading straight to the court. They are excited to be there and the coaches are excited to work with them. The energy level is high and contagious! A shout out to Poppa Rollo’s Pizza for their generous donation of cheese, pepperoni, sausage, and hamburger pizzas for dinner! It’s always the kids’ favorite (and the coaches’). A shout out also goes to Pat & Rene Kekic for their sweet donation of bananas and fantastic homemade brownies! It was the perfect close to camp today. MONDAY - JUN 6 We had a great first day of the camp! The kids and coaches were enthusiastic and the energy level was high. The kids worked on ball handling, footwork/agility drills, etc., and really got into the contests. The Last Second Hero was a hit as always. After a word from Coach Mark, everyone enjoyed chicken tenders (sponsored by Chick-Fil-A), fruit and cookies. We look forward to another fun day tomorrow. We are thankful for all the volunteers who made this possible; set-up and check-in crew, water bottles crew, meal picker-uppers, meal servers and runners, and clean-up crew. The coaches were wonderful with the kids too. We couldn’t do it without you! Scroll Down for Waco and Belton. WEDNESDAY - JUL 8 The last day of camps is always a fun day, and today was no different. There were 15 in the morning camp. After mass ball handling, they changed things up with some cross court drills. Then came the competitions which are a huge hit. Coach Jacob divided the older boys and coaches into teams (a coach on each one) to play 3-on-3. Coach Jeff took the younger girls through an obstacle course made of pylons and pipe. It was high energy and a lot of fun. The rain clouds were ready to send a down pour but thankfully held off until after story time and team time. There was no place for shelter so everyone would have scattered. The coaches shared their life stories with the campers who listened intently. The 2 high school girls and several high school boys returned today to the afternoon camp. It was hard to keep up with the count because the gym was like a revolving door. Some campers waved goodbye at 3:30 to go to football practice, but returned at 4:45P because they didn’t want to miss the last 15 minutes of camp. This was encouraging! At last count, there were 22 afternoon campers. Mark allowed anyone who wanted to join do so today, the last day, which he has not done before, and even very young ones. There were 2 girls, ages 4 and 5, who were loved on by Coaches Teresa and Claire. They had as much fun as the older kids did. Coach Taylor had great conversations with the high school girls and Coaches Jacob and Kerry with the high school boys. Coach Kerry joined the team from local outreach organization where he works as a summer intern. A youth leader from the local outreach program talked with Mark as the last camp was wrapping up and thanked the team for reaching out to the kids of his neighborhood. He shared that his group teaches basketball skills, but there’s no intentionality. He asked if he could talk with Mark about the structure of the camps as well as content. Of course Mark is happy to help others from his experience. The assistant director of another local sports organization emailed Mark to say he will get in touch with him as soon as their football camp is over. He’d like to talk about incorporating basketball into his outreach to the neighborhood kids. •Gratifying – It was gratifying to be able to serve as a family, not just a biological family but a hoops family. •Impactful – This coach had been looking for a place to plant her passion for basketball and this is a great fit. This not only changed other’s lives but hers as well. •Refreshing – Speaking from previous experiences of outreach events, it was so refreshing to be a part of a team that was excited and purposeful in sharing their basketball skills and love for the truth. This felt like family. •Love/Care/Serve – This team loved on the kids, showed them how much they care about them, and served them in their time together. They brought hope into lives that may see very little hope. They were grateful to be a part of this team. •Value – Kenny, our host, shared that this was a timely and strategic camp for the kids in his neighborhood. He has worked so hard with the kids. Bringing in new voices and loving coaches renewed the value he strives to instill in his kids. •Friendships – This coach developed friendships with these neighborhood kids because of their close ages. They were not only coaches and campers, but peers. •Connection – The team and kids worked so well together as peers, as family. It was a great experience. •Turning-Point (ok… two words hyphenated) – Coach Jacob led several sessions which is exciting to see. He did a great job! It was encouraging to work with a new crew of different ages. There were many opportunities to connect with local outreach groups and coaches in the local schools. Remember the 2 girls who were reluctant to join the camp on the first day but couldn’t wait for camp to start on the second day? They brought their other sister along for the fun too. And when camp was over today, mom and dad shared with Mark that they would definitely connect with Kenny and get the girls involved with the kid’s club he runs. They were excited to see positive role models for their family. There were 9 kids who were glued to the team from the very beginning. They were part of the free lunch program Kenny oversees, so when morning camp was over and they had their lunch, they would bring it to the host house and eat lunch with the coaches. Then they’d join the afternoon camp. And at dinner tonight, Kenny brought 5 along to the restaurant. Our coaches treated them as peers and they made sweet connections. TUESDAY - JUL 7 The Newman Family; Greg, Teresa, Blake and Claire, challenged the team today to continually pursue qualities of character and stand strong in them so that you will not stumble as you live day by day. The morning camp began with 15 kids present. The dad who went home yesterday and brought his two shy girls to camp shared with Mark today that the oldest was up this morning at 7:00A asking if it’s time to go yet. She and her sister couldn’t wait for camp to start. Twenty showed up for the afternoon camp. There were 2 high school girls and 5 high school boys there for the first time today. The school’s girls’ coach and assistant boys’ coach heard about Monday’s camp and brought some of their teams over to go through the afternoon. Mark asked the boys at the end of the day if they had learned anything and they replied that they had not worked out at basketball like this ever before. Coach Jacob Neubert ran the whistle a good portion of the day, working through the different aspects of camp. He did a great job! Coaches Taylor and Teresa had some great conversations with the girls. Having fewer kids in the teams allows for closer and more meaningful connections between coaches and campers. Grilling for dinner at Jacob & Ashton’s place closed out another productive day with a great team of coaches and great kids. MONDAY - JUL 6 The day started with the team gathered for encouragement, led by Carson and Keith Byrd. Carson reminded us that our purpose is to train the children to do the right thing, so that when they grow up, they will continue to do it. He challenged the team to be ready to train children in basketball skills and life skills. At 9:30A, 4 kids showed up. The coaches knew the number of campers might be small and were flexible to engage the ones who were there. As people went by the courts, they asked what was going on and by the end of the first camp, 9 more had joined them. One man asked about the camp and went home to bring back his 2 daughters. They were hesitant at first, not wanting to talk or join in. The coaches were so friendly that by the end of the morning, they were the most talkative! They divided the kids into 2 teams which made a good coach-to-player ratio. Team time was held sitting on a big tarp under a shade tree. A team from an organization based in Arlington visited the morning camp. Mark will train their coaches on Saturday the 18th to prepare them for their own camp the first week of August. After a sandwich lunch, the team toured our hosts’ home and heard about their plans to spread hope and good news in this neighborhood. They have a heart for these inner city children of the Oak Cliff and are finding favor. They said their connections were most often with small numbers. There were 16 campers in the afternoon camp that began at 2:30P, 9 of which were repeats from the morning camp. They enjoyed it so much that they wanted to go through it again! This camp was at a nearby high school gym which was air conditioned… nice. Two sophomore guys joined the camp. They aren’t able to return tomorrow but promised to send their siblings. So the range of kids in this camp was from ages 8-20. The Assistant Director of a local sports-based organization stopped by the high school to observe the camp for a while. Afterwards, Mark met with him about incorporating basketball into their program of football and baseball. This organization’s goal is to provide the kids of West Dallas with another positive influence and role model through their coaches and a healthy, safe environment to compete in individual and team sports. Through their various programs, they weave positive values through their coaching in an effort to build good character as well as athletic ability. During debrief after dinner at Chili’s, Taylor shared that she felt that the low numbers allowed the coaches to relate more personally with each child. It was a good way to invest in the children. All the coaches were encouraged and hopeful for tomorrow. This is a great group of coaches, all with positive attitudes. The age for the official youngest Hoops for Hope coach is now 12; Claire Newman. Congrats, Claire! It was neat to see Carson & Blake, both headed into 9th grade, take authority on the court with the 2 college sophomores, showing them the drills. We are hoping for more kids to show up tomorrow, and that word of the camp will travel throughout the neighborhood. We are grateful for good weather; cloud cover for the morning camp and temps in the mid 80’s. We hope that our presence will bring more connections for our hosts and their organization in this neighborhood. THURSDAY - JUNE 11 We completed the inaugural Hoops for Hope Waco Skills Camp and what a great group of coaches, players and volunteers! The kids worked hard all four days learning to improve their skills and refining their game. Participants were kids who had finished 4th-8th grade from Waco, Lorena, China Spring, Bellmead, Mart, Woodway and Hewitt. After hearing the Good News each day, 16 indicated a desire to follow after their purpose, plan and place! We rejoice in their decisions. A special thanks goes to our sponsors for making this event special: Kohl’s, Poppa Rollos Pizza, Raising Cane's, Chick-fil-a, McAlister’s, Wal-Mart, and HEB. We had a great group of coaches: Matt Quade, Jeff Coker, Jonah Erbe, Josh Dunn, Hunter Daniels, Julie Zakhary, Falyn Scott, Chandler Steinke, Jacob Dunn, Caleb Durham, Caleb Stanford, Logan Skains, Case McReynolds, Sara Neumann, Ben Martinsen, Ty Sadler, Mai Lin Barringer, Hudson Bradley, Cora Hill, Chase Hill, Tray Jefferson, Will Whitmer, and Nick Buckley. What a great job they did with lots of encouragement and lots of energy. We also had helpers who set up food, kept score and were just generally around to be a blessing. Thank to Rudy and Yogi Aguilar, Tim and Linda Tonkin, Rachel Reid, Laura Atkin, Laurie Wible and Melissa Estep. We have been so blessed and are so thankful for the great week. Friday – Apr 13 Jon Wible called in an update on the outreach which began last night. There were 15 kids in attendance, most with little or no basketball skills, but all participating and wanting to learn. Jon and the team kept the pace easy and comfortable, so the kids weren’t pressured to perform. The workers were excited that every youth was getting into the drills, even if they couldn’t do them well. They saw the kids having fun and were pleased. One older youth was very excited about the camps. He asked Jon what he should work on throughout the week and what he could look forward to next week. These are the connections we’re hoping to make. This initial camp was a success and the team looks forward to more interaction with the kids in the coming weeks. Thursday – Apr 12 Our Belton HFH team begins an outreach tonight from 6:00-7:45P (and each Thursday this month) to troubled youth at a treatment center in Belton. Jon Wible leads the team as they instruct between 20-25 participants in basketball training, demonstrating virtuous character with each drill. Each session will be followed up with story time, where life’s plan, purpose, part and place will be shared. We had a great time with the youth at Waco Center for Youth this afternoon. There were 18 young women and 16 young men who participated in the camps. The interaction between the coaches, staff and the youth was a lot of fun. The campers learned some new skills and we all had a blast. Thank you to our coaches and helpers: Mark & Laurie Wible, Noah Wible, Brent Wilson, Jeff Coker, Jeff Harper, Ben Saage, Eadie Wessel, Alison Neubert, Mike Remus and Dan & Melissa Estep.